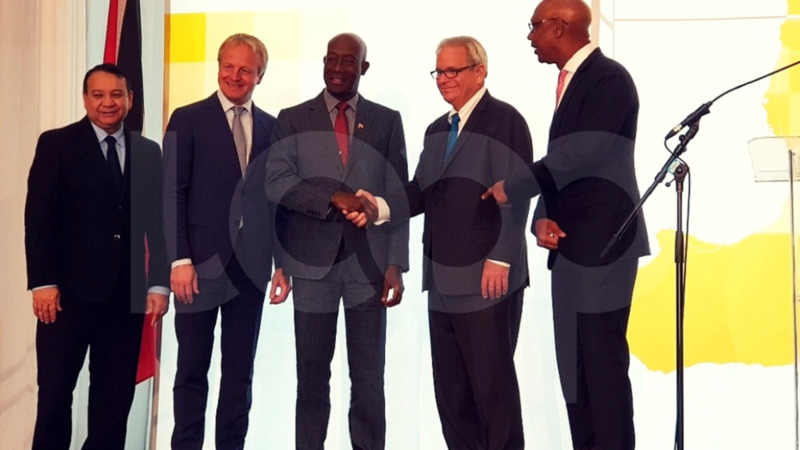 Photo L-R: Energy Minister Franklin Khan, Shell's director of Integrated Gas and New Energies, Maarten Wetselaar, Prime Minister Dr Keith Rowley, Shell Chairman Charles Holliday, and Vice Chair and Country Chair of Shell Trinidad and Tobago, Derek Hudson. Photo by Alina Doodnath. Chairman of Royal Dutch Shell, Charles Holliday, emphasised that Trinidad and Tobago can 'count on Shell' during a speech heralding his first visit to the country on Wednesday. “I’m here today because this is a very important country to us, we are committed to being successful, I am so proud of our employees here, and look forward to coming back many times,” he said. Speaking at a luncheon hosted by Shell at the Hyatt Regency Trinidad, at which Prime Minister Dr Keith Rowley was the featured speaker, Holliday said natural gas is crucial to the growth of both Shell and Trinidad and Tobago and emphasised the company's focus on ethical practices and its contribution to the communities in which they work. "Trinidad and Tobago (is) one of the largest natural gas producers in the Caribbean and a major player on the world scene. I think you have made a good decision over the next decades to make those investments (succeed)." He added that Shell upholds its policy of ethical principles, one of which is to always tell the truth. "I think the guiding light will be absolute core values. In Shell we have three: honesty- always tell the truth. Integrity- do the right thing even when no one is looking, and great respect for people everywhere." He added that he was pleased to hear that Shell is supporting the growth of STEM in secondary schools through initiatives and programmes in Trinidad and Tobago. Holliday also praised the country's aim of achieving 10 percent renewables by 2021, saying this is also in line with the company's directives. He added that the company is committed to the success of its initiatives in Trinidad and Tobago. 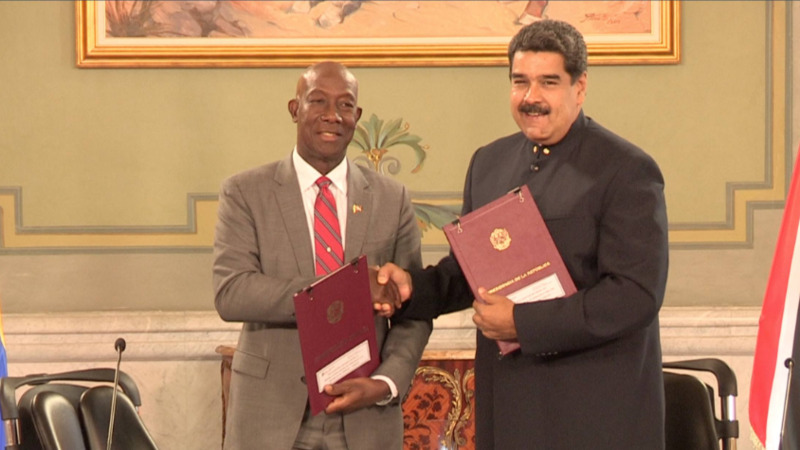 Prime Minister Dr Keith Rowley said that Shell’s interest in Trinidad and Tobago is a sign that the country is still attractive to energy investments. He also mentioned the recent agreement concerning a gas deal with Venezuela for access to the Dragon Field. Gas from the Dragon Field will be transported via a pipeline to be built by Shell to the Hibiscus platform, which is partly owned by the National Gas Company (NGC) and Shell. “The presence of Shell is a major signal to other investors that Trinidad and Tobago is a major place to do business,” he said. “What we expect is that when we go out, other investors will be enthused to share the success that Shell (has),” he said. 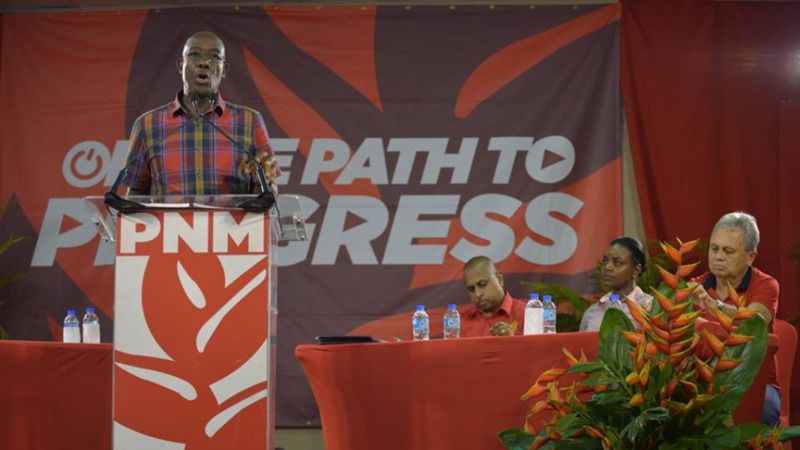 Dr Rowley also said a department within the Ministry of Energy and Energy industries will be created to focus on hiring young people for new positions within the oil and gas industry. Also speaking at the luncheon was Shell's director of Integrated Gas and New Energies, Maarten Wetselaar and Vice Chair and Country Chair of Shell Trinidad and Tobago, Derek Hudson. Also in attendance were Energy Minister Franklin Khan, National Security Minister Stuart Young, Education Minister Anthony Garcia, as well as numerous public officials, energy investors and other stakeholders. Shell was active in Trinidad and Tobago since 1913 and is now present in seven offshore and onshore blocks (both operated and non-operated) as well as pipelines and a larger presence in Atlantic LNG, which was built in 1995 and was the world's largest liquefaction facility at the time. Shell delivers an integrated gas operation to supply the petrochemical market and Atlantic LNG, which is now the sixth largest LNG exporter in the world. The company’s equity in the Atlantic LNG plant ranges from 46% to 57.5% in each of four trains at the Point Fortin facility. In April 2015, Royal Dutch Shell announced that it had reached an agreement to acquire BG Group for $70 billion, subject to regulatory and shareholder agreement. If complete, BG shareholders would own 19% of the combined group, and Shell would have extensive access to BG's LNG assets, accelerating its global LNG and deep water strategy. Finalisation of the BG acquisition by Royal Dutch Shell was completed on 15 February 2016.